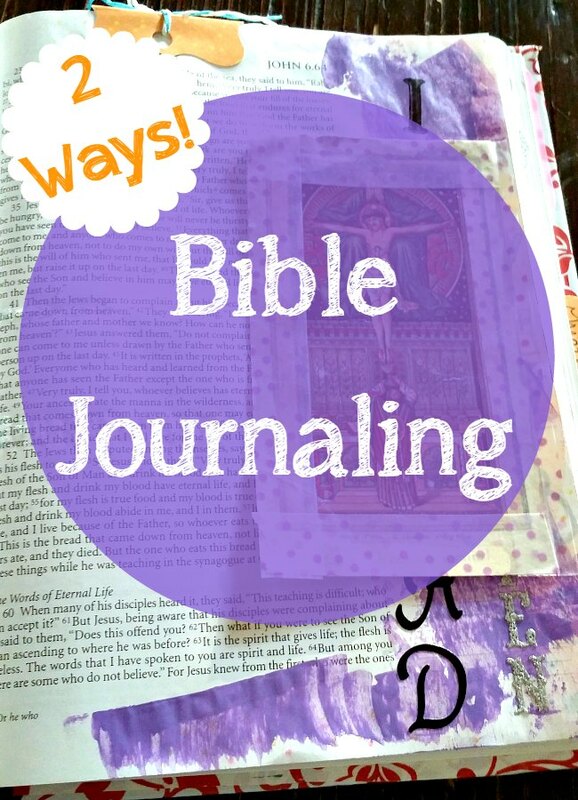 or learn to journal in a “non-journaling” Bible. This past Sunday I spent some time journaling in both options–same verse, same idea, different Bible. 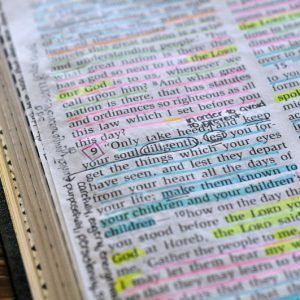 Let’s look at Bible journaling two ways. 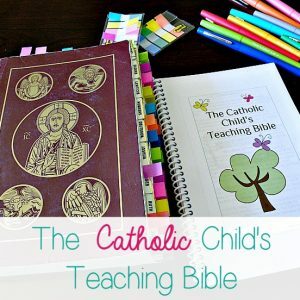 I chose John 6 as my starting place to journal, especially verses 48, 50-51, and 53-58. I wanted to spend some time over the weekend in some solid teaching of our Lord. After a tumultuous week I needed not only solid ground but promises of life and John 6 was my go to. I needed the reassurance to keep doing what I’m doing–keep receiving our Lord…Body, Blood, Soul and Divinity in the Eucharist, to go to Jesus. Anyway, back to peace and Bible journaling. In addition to using my Bible journaling supplies, I also wanted to incorporate a couple of lovely holy cards I had in a drawer. (Please tell me you have a drawer of holy cards–not sure what to do with them all but can’t and won’t throw them out.) So I incorporated these beautiful holy cards representing the Holy Sacrifice of the Mass at the point of Consecration. to the page, careful not to cover the actual scripture–this is a personal preference. If you look around Pinterest at Bible journaling, you’ll see examples of people who cover the scripture text with their art supplies and those who don’t; I’m in the don’t camp. Next I used some stamps and archival ink, some stickers and then I used one of my favorite Bible journaling supplies, washi tape. I took that beautiful holy card and fixed it into my Bible using washi tape. I also added some tape around the edges of the card because it was an old, beat up one. This is an excellent way to adhere holy cards, notes, whatever, into your Bible. Things stay put, but you can adhere it in such a way that it easily lifts up so no cover up of the scriptures. It literally adds another layer, another dimension to your Bible. 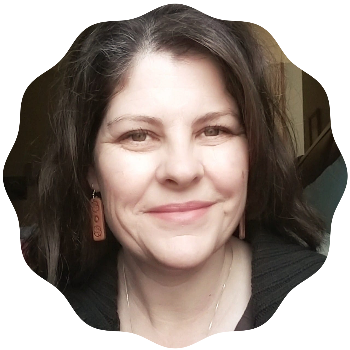 , I started by using a colored pencil to highlight the verses I was spending time with. I wanted to use the beautiful purple acrylic paint, but again, I didn’t want to cover the scriptures so I applied it to the back of the holy card. Next I used my stamps and archival ink. Then it was time for some washi tape. 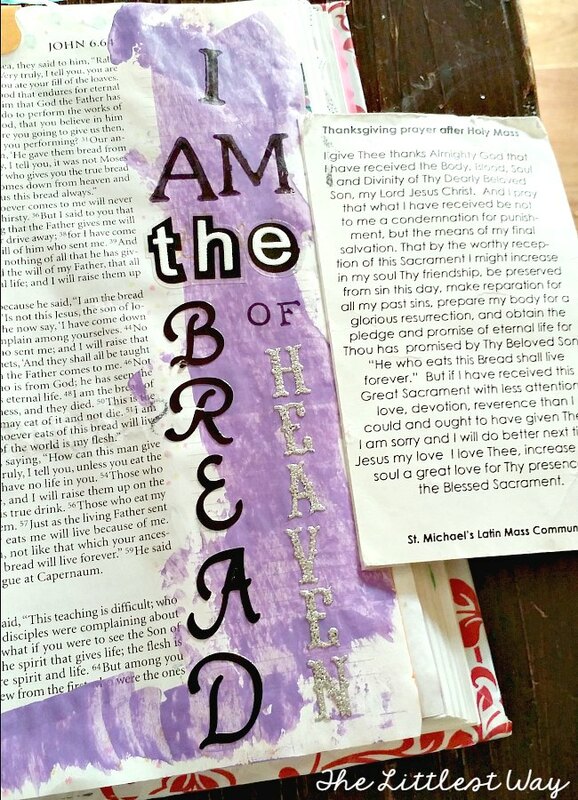 In this Bible journaling page I used the washi on the edge of the holy card to adhere it in my Bible and I placed a piece at the tops of the two pages containing the verses I was spending time with. I am pleased with both Bible journaling entries. 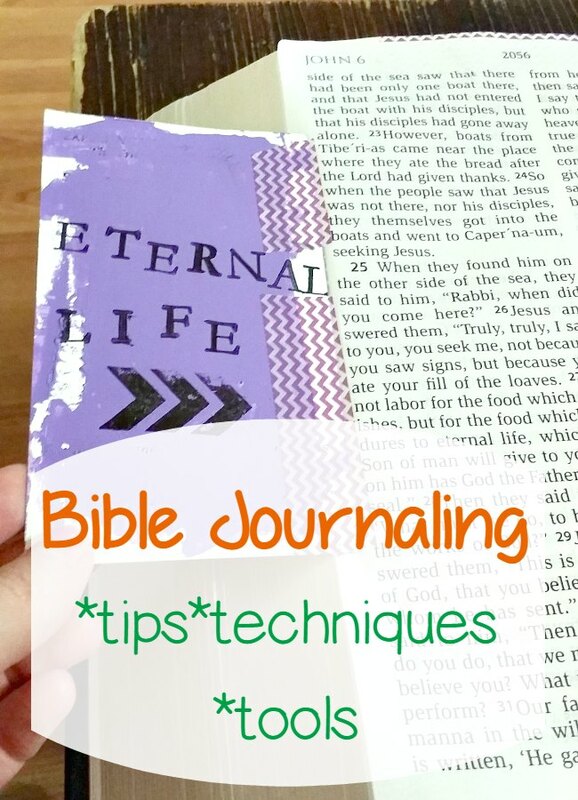 I hope this will give you some encouragement that you don’t have to have a journaling Bible in order to practice the art and spiritual practice of Bible journaling. The same ideas and even supplies can be used interchangeably and beautifully. Great ideas! Here’s one more for those without a Notetaker’s Bible or who do not feel comfortable with their artistic abilities…when you find a verse that speaks to you, go to Google images and enter the chapter and verse numbers in the search box. Lots of gorgeous images will come up. I believe as long as you are not using these publicly or for profit, there is not a problem with copying. Click on the image and when it opens, right click to copy. Paste onto a page in a program such as Microsoft Publisher to size as you wish. 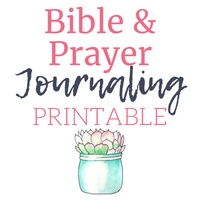 Print it out, adhere to your Bible page along one side with washi tape and you have a place on the back for journaling. I had recently purchased a new study Bible, and had another Bible already, so didn’t feel a third Bible to “doodle in” was an appropriate expense. Then I was inspired when I remembered my non-study Bible was a “parallel” version. So, I’m using it to journal in. When I find a verse I want to illustrate, I pick the version I like best, then draw in the other column! Then if I inadvertently cover it, it’s all good! A great place to find Bibles for very little cost is the Goodwill. Your ideas sound great! You sound like me Darlene, I have a few (ahem) Bibles! Glad you found what works for you. Thanks for this great article and your inspiration!